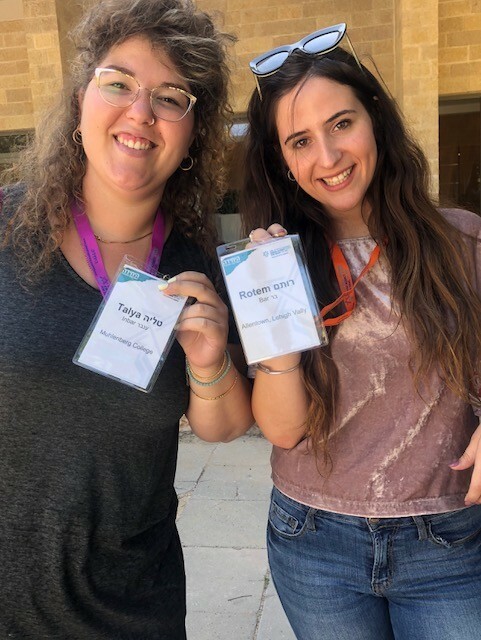 Editor’s Note: Rotem Bar will be spending the year in the Lehigh Valley as an emissary from Israel through the Community Shlichut Program, a partnership between the Jewish Federation of the Lehigh Valley and the Jewish Agency for Israel, made possible in our community through the support of Lewis and Roberta Gaines. Czech Republic, Belgium, Israel, Belgium, Israel … and soon to be the United States. My childhood was multicultural. From a young age, I lived in Europe and studied at an international school with children from all around the world. Being Israeli was always people’s first impression of me. It was a big part of my story and I loved sharing it. I am looking forward to adding another piece to my life puzzle when I arrive in the Lehigh Valley at the end of August. Another piece that will be meaningful and powerful, a piece that will enrich me as a human being who aspires to learn more about the world, about people and their knowledge and experiences, as a Jewish individual who shares these same values with other Jewish individuals and wishes to build relationships based on similar values. Besides my own story, I wish to become a piece in your community’s puzzle. I hope to get to know each and every one of you, to “bring Israel to life” in the Lehigh Valley and to deepen the connection between Israel and the community. I will share with you Israel through all her beauty and complexity. I’m hoping to promote mutual understanding and bring to the community new and refreshing ways of exchanging ideas and passions. I am grateful for the opportunity to be part of the Jewish Agency emissaries delegation, to be a part of the Israeli story, part of the social mosaic that is so unique in the Israeli society and that I get to share it with your community, with Jews like me who live at the other end of the world and experience their Jewish identity and Israel from a different perspective, or perhaps from a very similar one. In just over a week I will be leaving my country, my home, my family and friends, all that is familiar, in order to start this special journey. I am trying to absorb as much of Israel as I can by spending time with my loved ones, my friends and family (Yuki my dog), and visiting all my favorite spots in Israel. Shlichut, or being an Israeli emissary, is a natural next step for me. I feel that I am at the right place in my life to embark on this journey, build bridges, learn and teach and bring “my Israel” to the community. I intend to bring the values and content I absorb during this experience back to Israeli society upon my return. I am beyond excited! Behatzlacha!